Wanted to catch these sweeties on picture for a while know and finally a found them a few minutes with car outside Uppsala. When the opportunity arose i wanted to get some extra, you got a portrait simply. 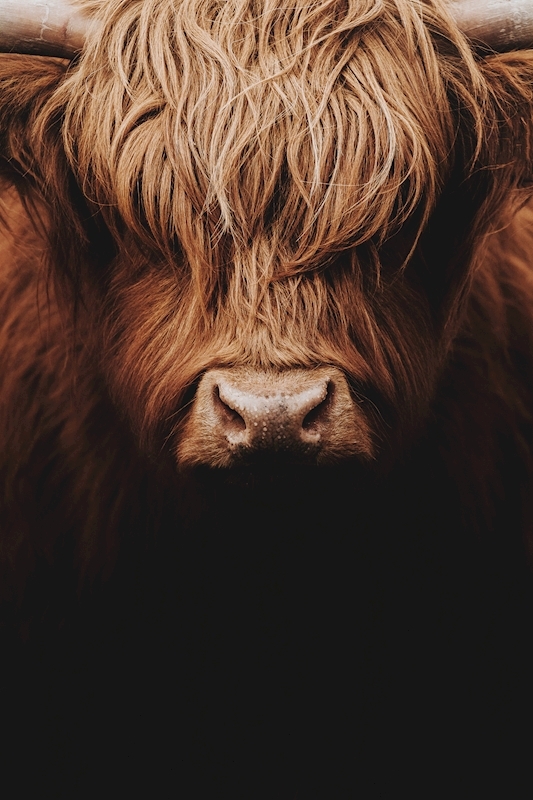 This is a very artistic beautiful portrait of a highland cattle. The fur i a warm brown slowly turning into black under de nose. It would be perfect in a living room, bedroom or even kitchen. The picture would fit really nice as wall art.